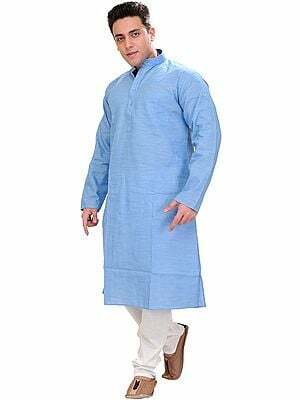 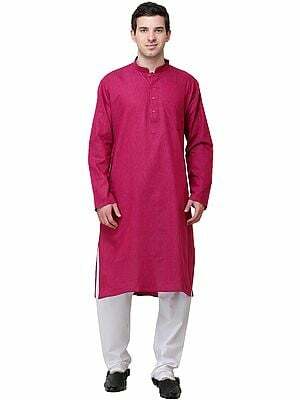 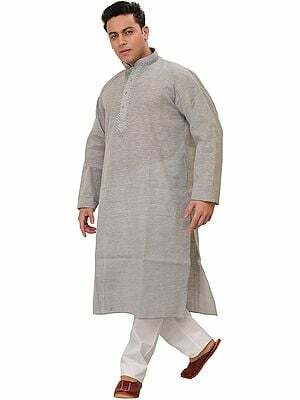 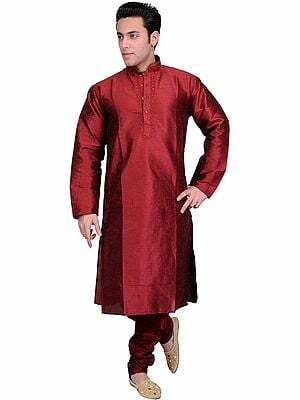 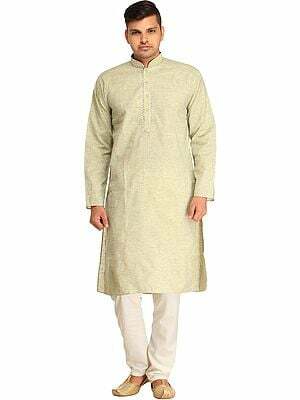 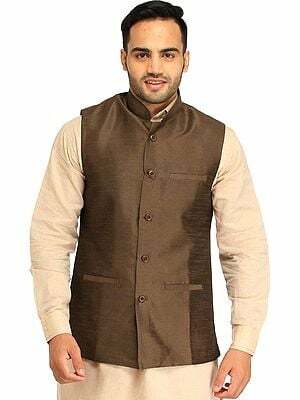 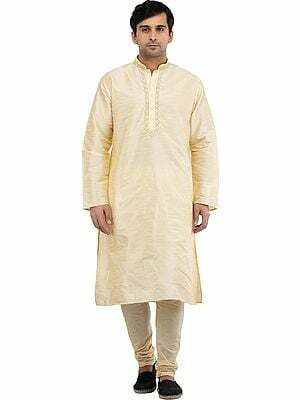 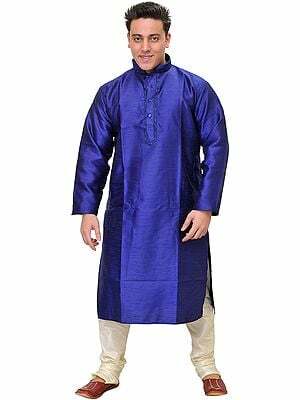 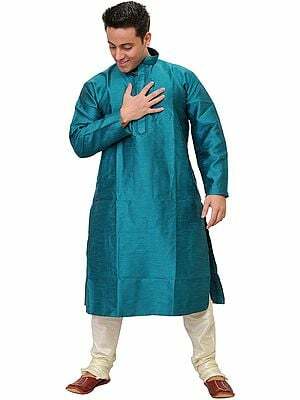 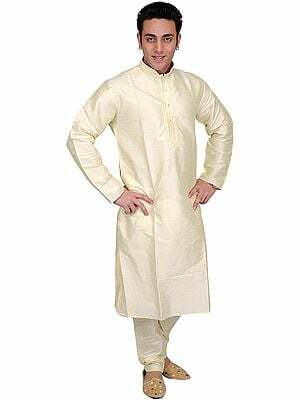 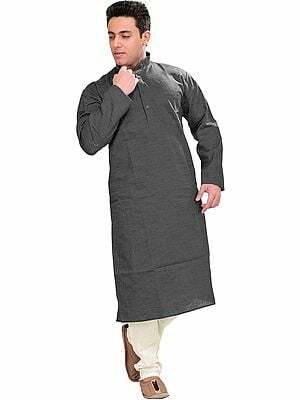 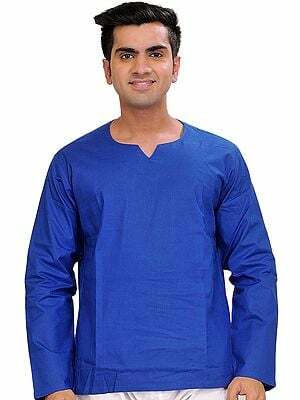 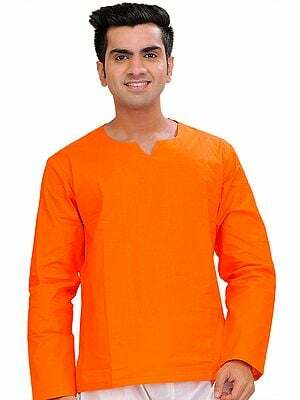 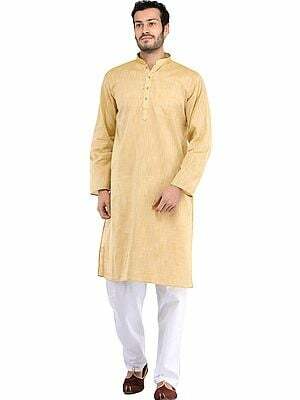 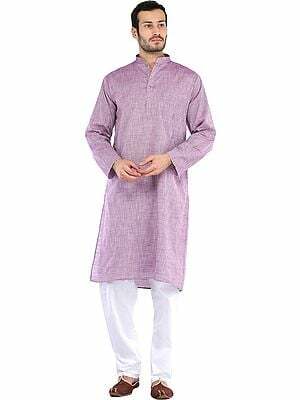 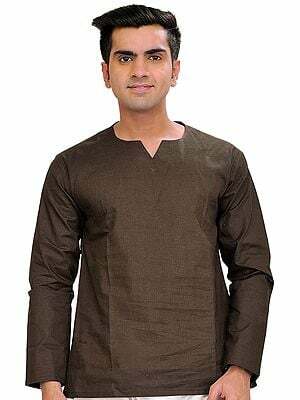 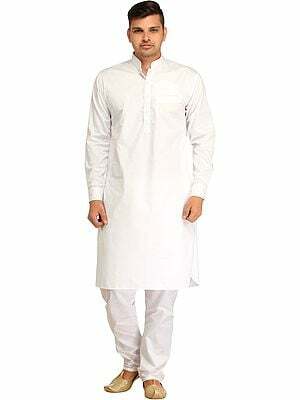 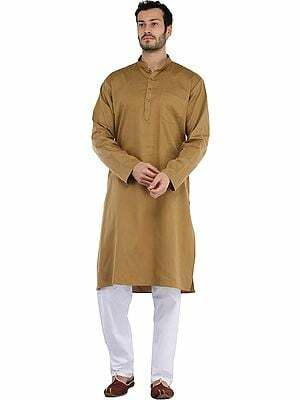 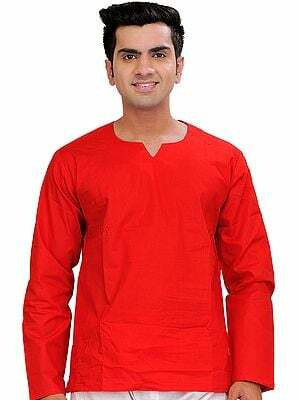 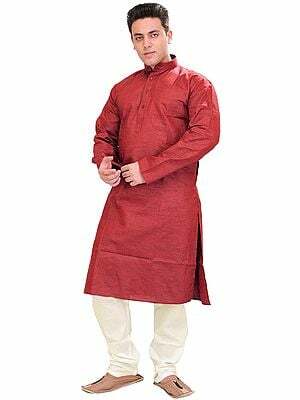 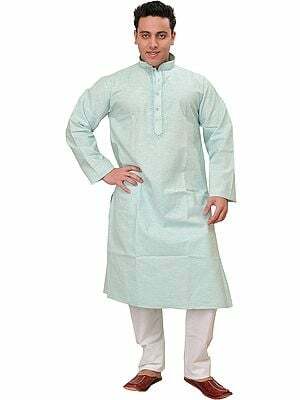 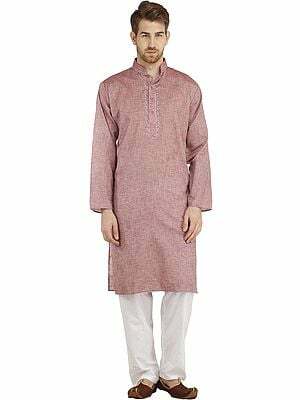 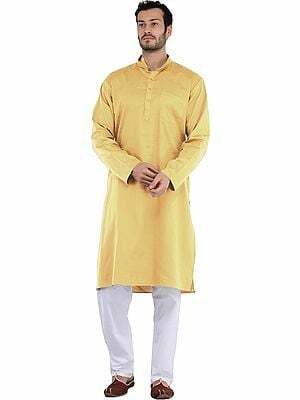 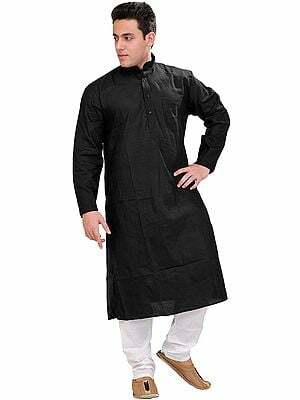 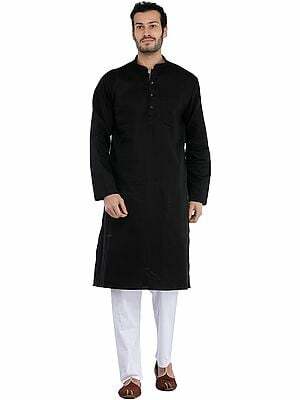 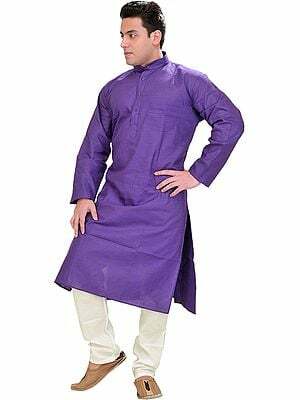 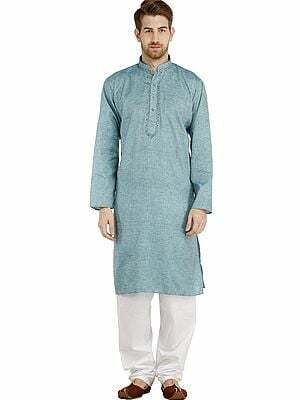 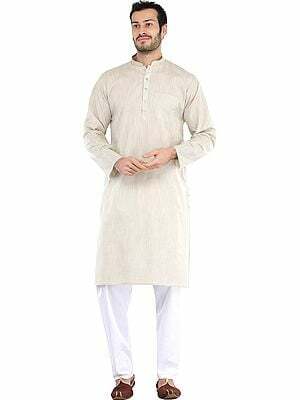 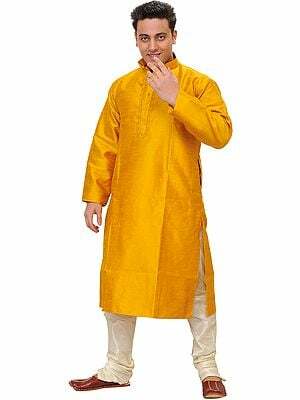 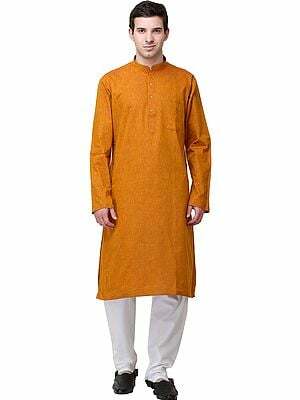 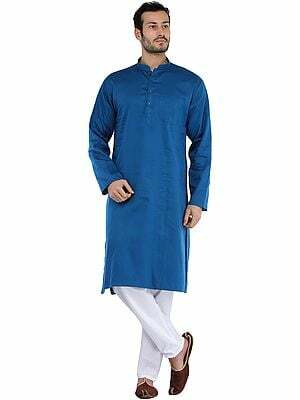 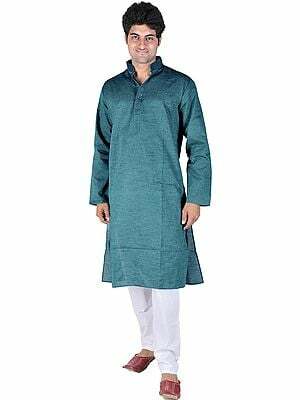 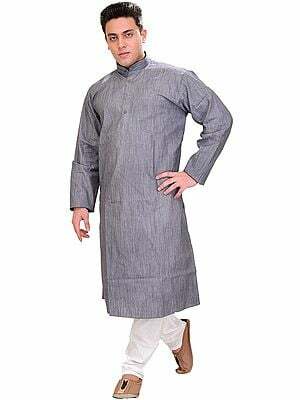 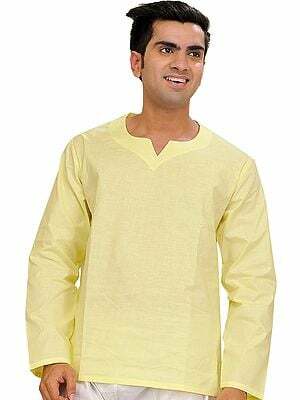 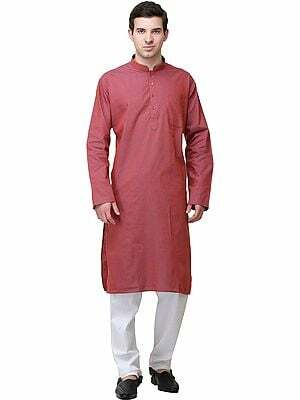 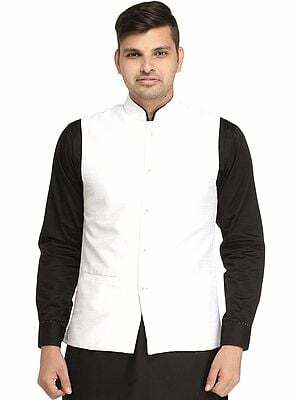 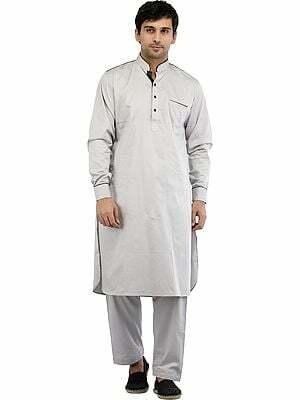 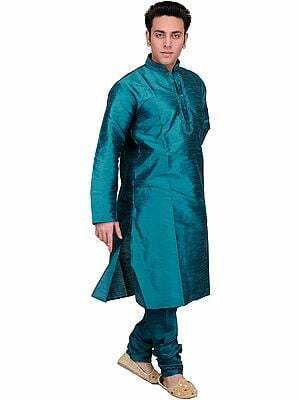 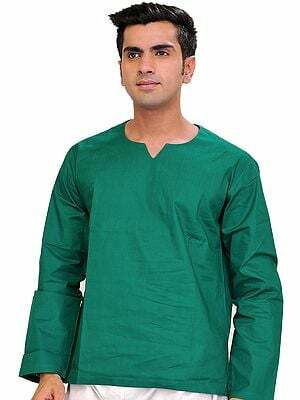 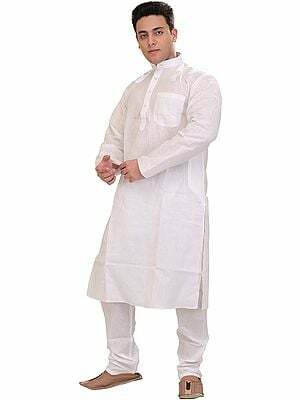 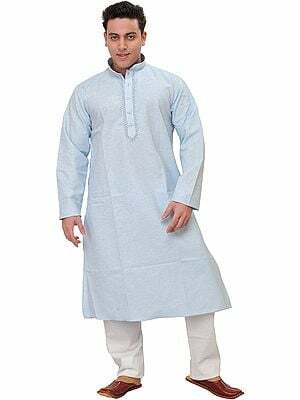 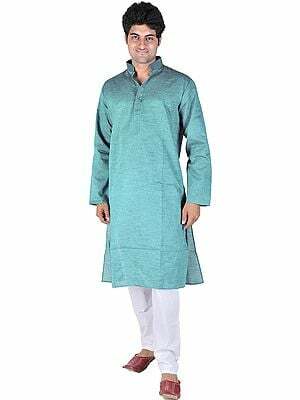 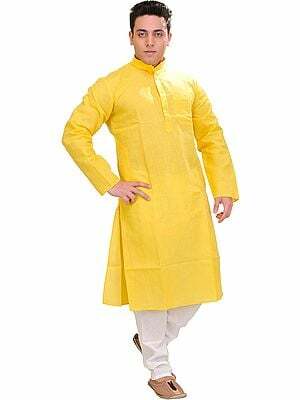 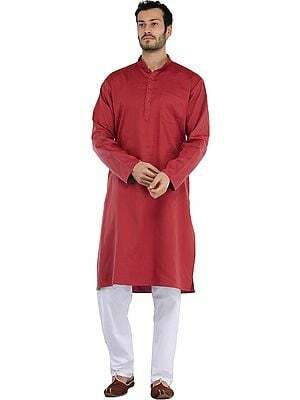 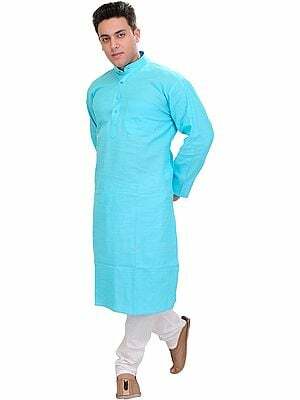 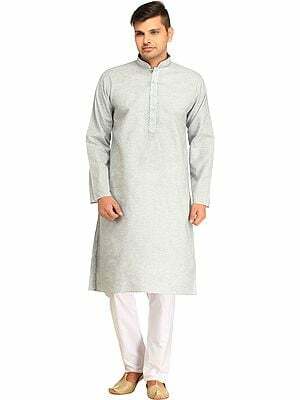 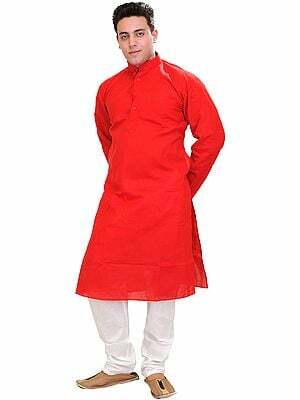 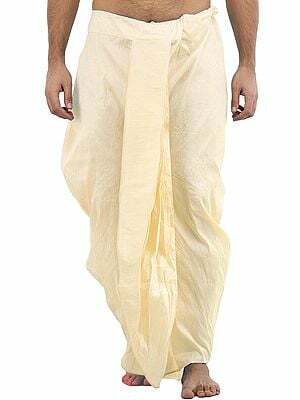 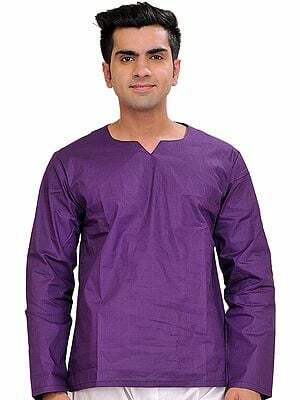 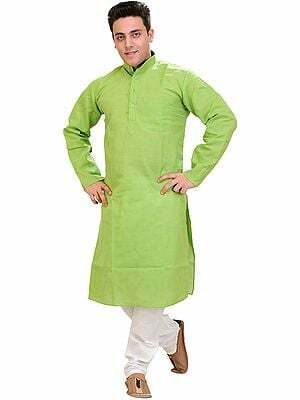 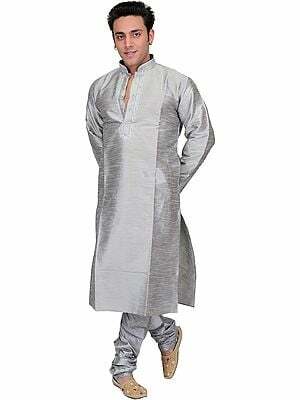 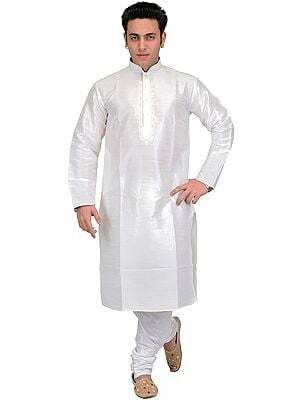 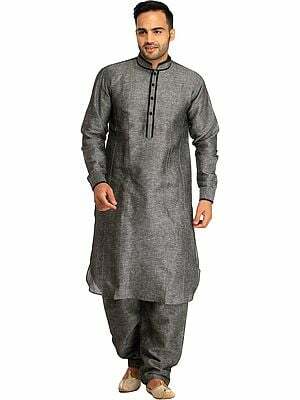 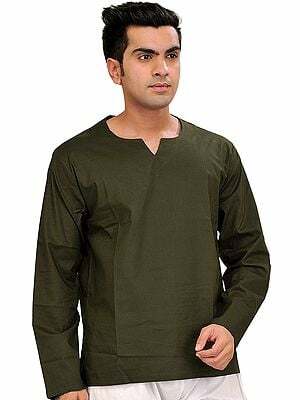 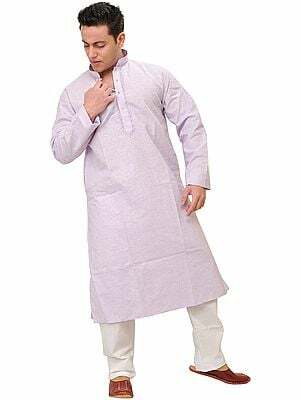 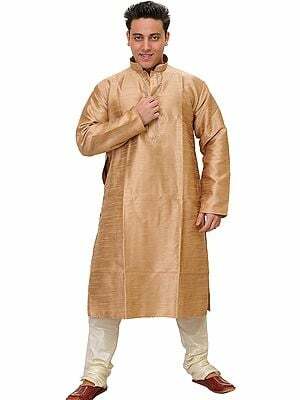 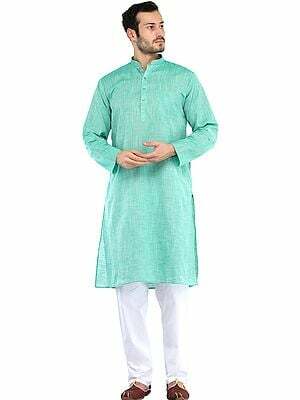 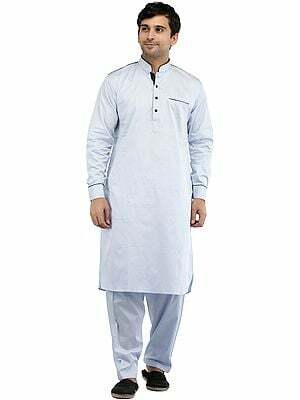 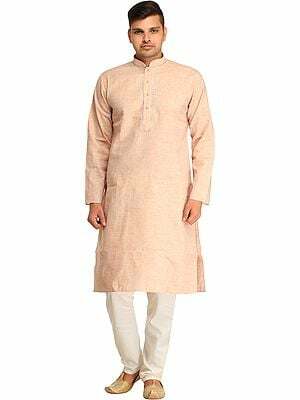 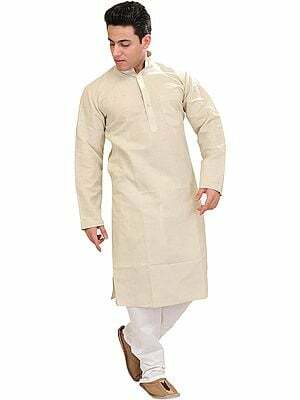 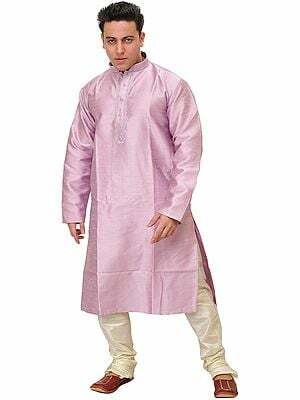 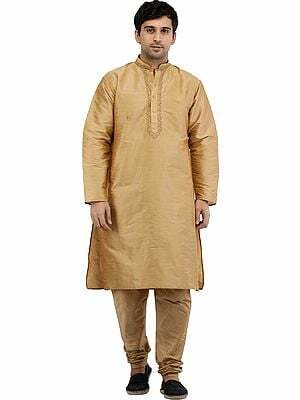 A Pathani long Shirt and Pajama : an Ethnic Fashion. 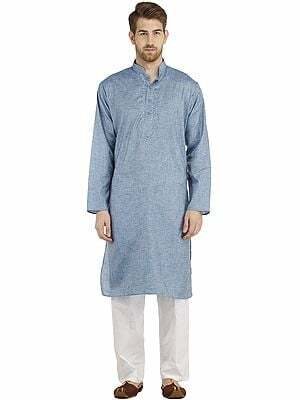 Though a bit modified, especially the lower component – the legs’ wrap, from a traditional salwar to a Sutthan or dogri pajama which is provided with larger room around the legs, especially on ankles, this costume – a pair of shirt and pajama, is an ethnic fashion popular among some of the tribes of Central Asia and hill regions of India. 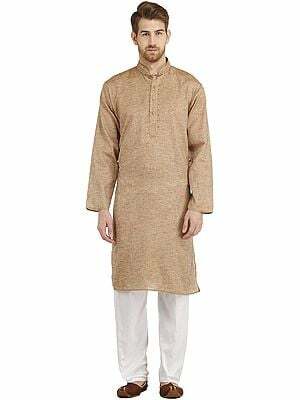 Appropriated and tailored to the region’s climatic temperament – the shirt’s length in particular, these wears were the result of the interaction of these hill tribes with Europeans first during the First World War, and then during the second. 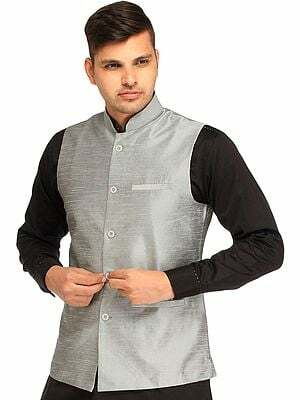 A well guarded buttoned and collared front, cuffed sleeves – often tight-fitted, and knee-down length of the shirt better protected the wearer against the region’s icy climate. 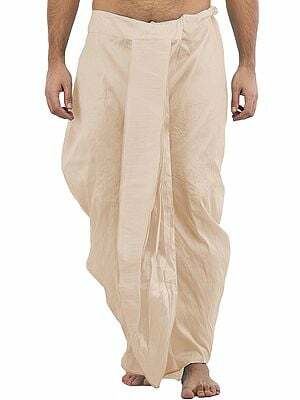 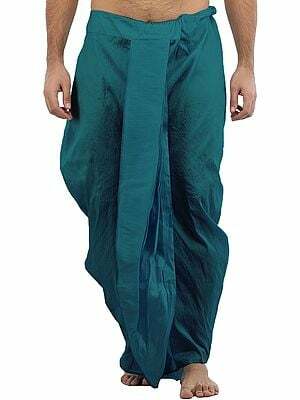 Better to work with, that is, more appropriate as a working costume, and more economical this pajama with narrow leg-girths seems to have alternated all traditional fashions of sewn lowers as well as the European fashion of trousers. 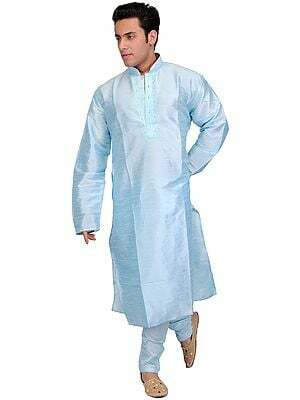 The costume’s ethnic character apart it indexes the robust and vigorous manhood that a Pathan represents, and it is perhaps for such primitiveness that it is the craze of young ones around the globe. 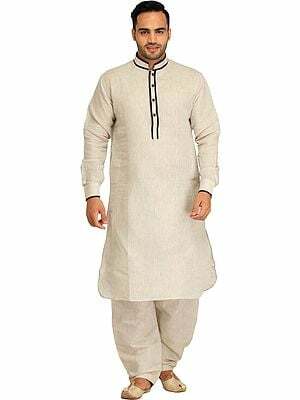 As a matter of fact not just its ethnicity this style of wear is seen manifesting a different character – straightforwardness, honesty, courage and simplicity, the characteristics of a primitive race. 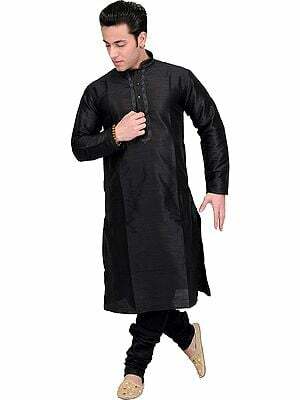 Not necessarily a Pathan-like looking even those with average health or even less body weight are able to improve not only their figure but their entire personality with such costume fashion. 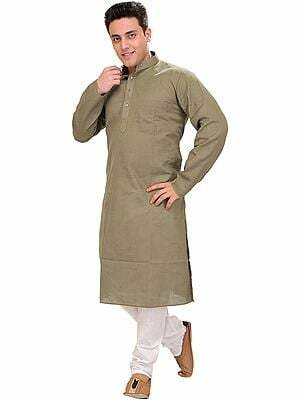 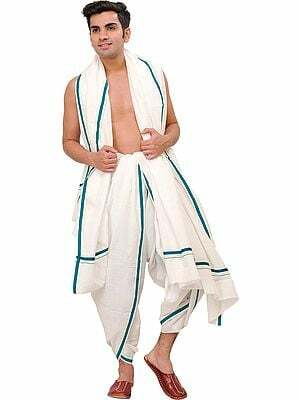 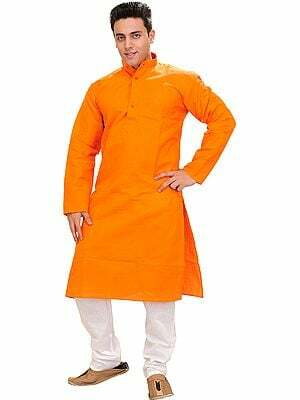 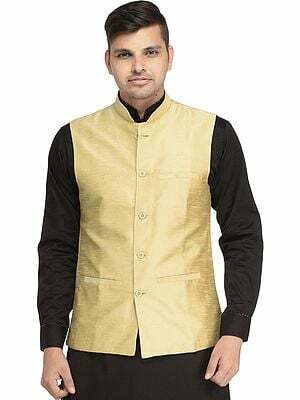 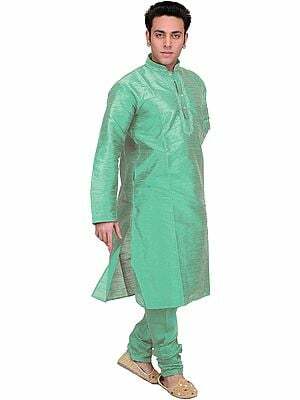 Now a globally loved costume style such Pathani suits wearing young men might always be seen thronging and a night-club or a dancing hall. 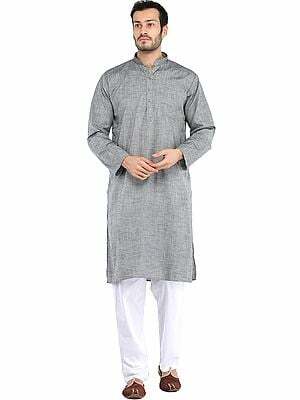 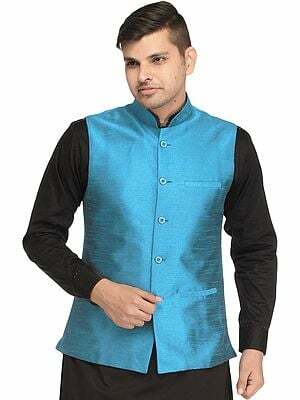 Both shirt and pajama have been tailored out of a subdued and elegantly woven self patterned pure cotton textile. 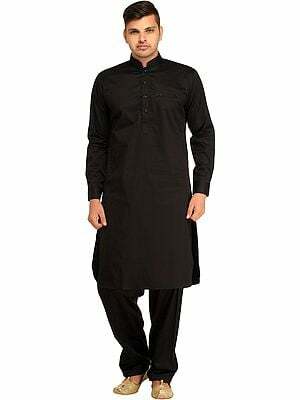 Except the knee-down extra length the shirt, as well as the pajama, have been crafted to normal dimensions. 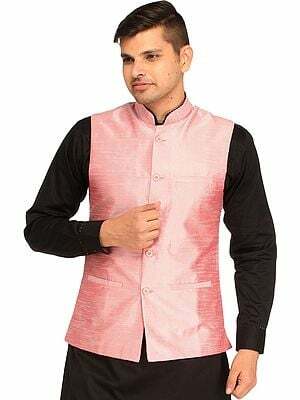 Besides a moderate collar, neither large nor small, a beautifully embroidered front band covering the inside band containing button holes and the buttons, is the most beautiful component of the wear. 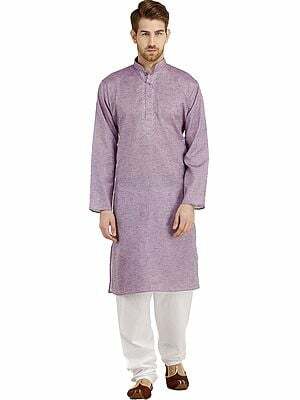 The band, a normal length and breadth, has been beautified with elegant design-patterns embroidered with the thread of the same shade. 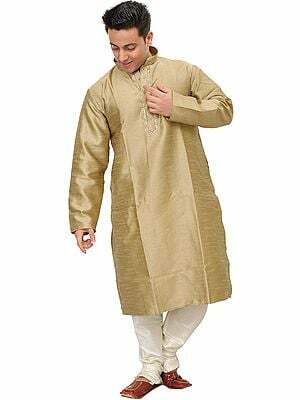 The gradually downwards narrowing pajama is a live fashion used among Dongras, Himachali, people of Sind, Kashmir and other hill regions. 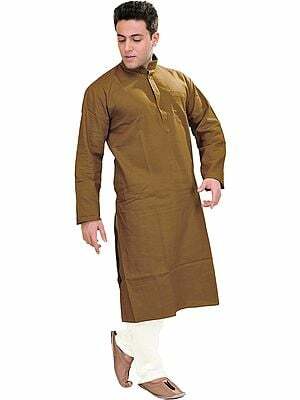 This description by Prof. P.C. Jain and Dr Daljeet. 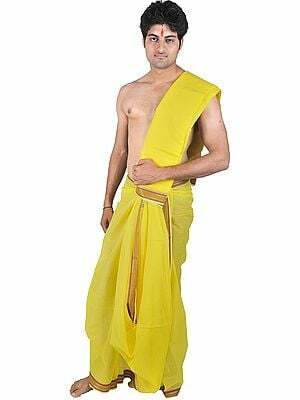 Prof. Jain specializes on the aesthetics of ancient India. 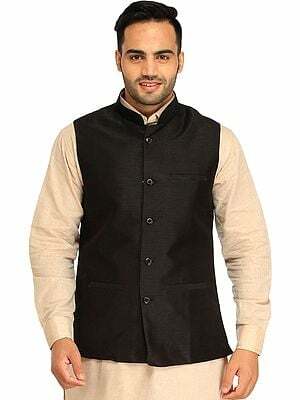 Dr Daljeet is the chief curator of the Visual Arts Gallery at the National Museum of India, New Delhi. 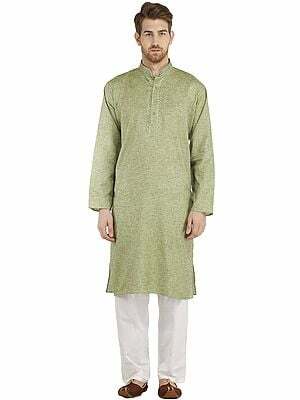 They have both collaborated on numerous books on Indian art and culture.